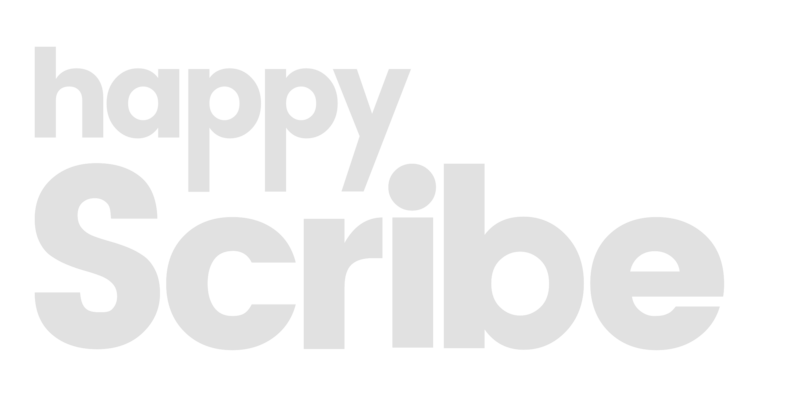 Happy Scribe is an online software that speed-up the transcription process by using Automatic Speech Recognition engines. The applications of our technology can be very diverse from transcribing a journalistic interview to captioning some online content, Happy Scribe is the perfect tool to leverage the power of transcription. Once you have successfully created your account and confirmed your email address, you&apos;ll be redirected to your dashboard. From this page you can manage your file and your teams. To upload a new file you have to click on the Upload a new file button. A popup window will open, you will be asked to select the file(s) that you want to transcribe and the language in which you want it to be transcribed. Once you are done, you just have to hit the Proceed button and we&apos;ll start to transcribe it. Your status of your file will be set to Working. After a few minutes (usually ½ of the file length) you will receive an email to notify you that your transcript is ready. On your dashboard, you will see that the status of your file is Done that means that you can open it. You will then be redirected to our online editor that was made to make it easier for you to proofread what our machines did for you. The editor synchronises the text with the audio for a seamless editing process. Once you are done proofreading your file, you can export or share your transcript privately or publicly. Happy Scribe also offers the ability to generate natural captions (SubRip SRT and EBU-STL) on a glance.